So you want to shove some extra vegetables down your gullet? 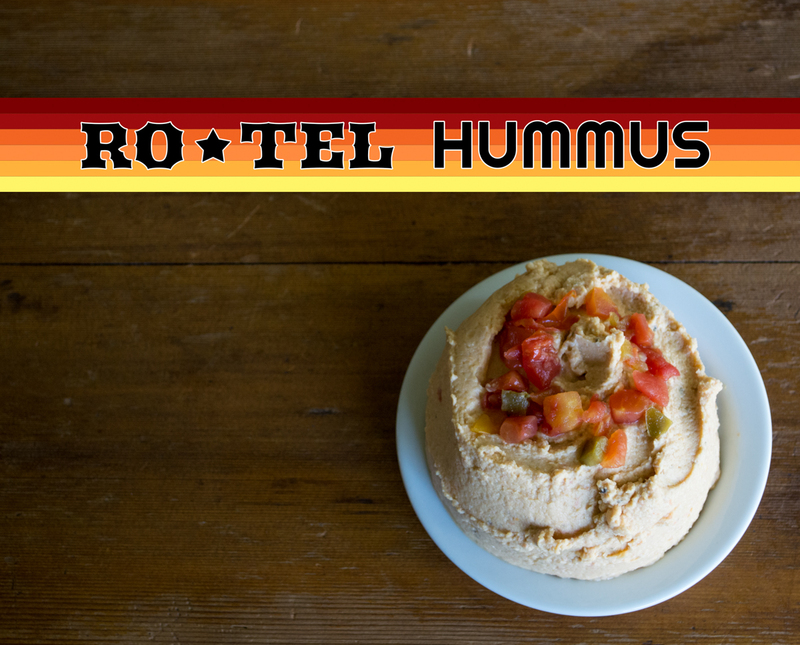 Meet Ro-Tel Hummus! You two will get along famously, I know I did. I’ve been dipping, crunching, munching and spreading this stuff on everything this past weekend. I can promise you it tastes great with romaine lettuce, sauerkraut, carrots, pickles, broccoli, celery, toast, and tomatoes. Taste-test verified. Are you a fan of Ro-Tel tomatoes? They’re just canned diced tomatoes with green chilies, but they are so good! My friend, Alma, introduced them to me back when we lived in Illinois. She would mix a can and most of the juice with a brick of softened cream cheese for a delicious cracker/chip/vegetable dip. I haven’t recreated that with a vegan cream cheese but me thinks I should. 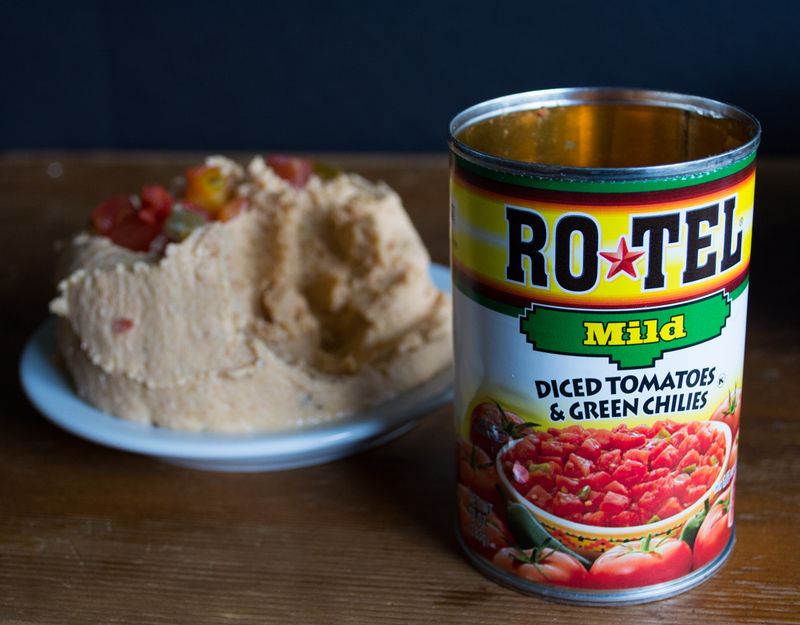 This Ro-Tel Hummus makes the perfect dip or filling for sandwiches. Add garbanzo beans, garlic, 3/4 can of Ro-Tel + juice, olive oil, tahini, and salt to a food processor fitted with an s-blade and process until smooth adding more juice or water if needed. Add in the onion powder, oregano, and basil and pulse a few times to incorporate. Transfer to a plate or bowl and top with the last 1/4 of Ro-Tel tomatoes. Alternatively use a hand-held potato masher to mash ingredients together. What’s your favorite recipe using Ro-Tel? I love using Ro-Tel with freshly cooked pasta, a little bit of olive oil, lightly steamed or raw veggies, minced garlic and a little bit of salt.